Born to Puerto Rican parents in Detroit, Francisco “Paco” Ramon was born with the ability to create vibrational shock waves. When he first appeared in Justice League of America Annual #2 in 1984, Vibe was a breakdancer, who ran a local Detroit gang called Los Lobos. Eventually He gave up gang life and joined the reformed Justice League when they relocated to Detroit. In 1987, during an assault by Darkseid against the Justice League, Vibe was attacked by an androids, and became the first Justice League member to be killed in the line of duty. Happily in 2013, as part of DC’s New 52, the character got a fresh start (free of racial stereotypes) in his own title comic created by Andrew Kreisberg and artist Pete Woods. Vibe #1 made him one of the first Caribbean American superheroes to get his own self-titled series (Ultimate Comics Spiderman‘s part-Puerto Rican Miles Morales beats him out by two years). In this new continuity, we learn much more about Ramon’s family, one of whom was a casualty of Darkseid’s invasion of Earth, the same event that gave Ramon his powers. His sense of interdimensional events got him recruited by A.R.G.U.S. 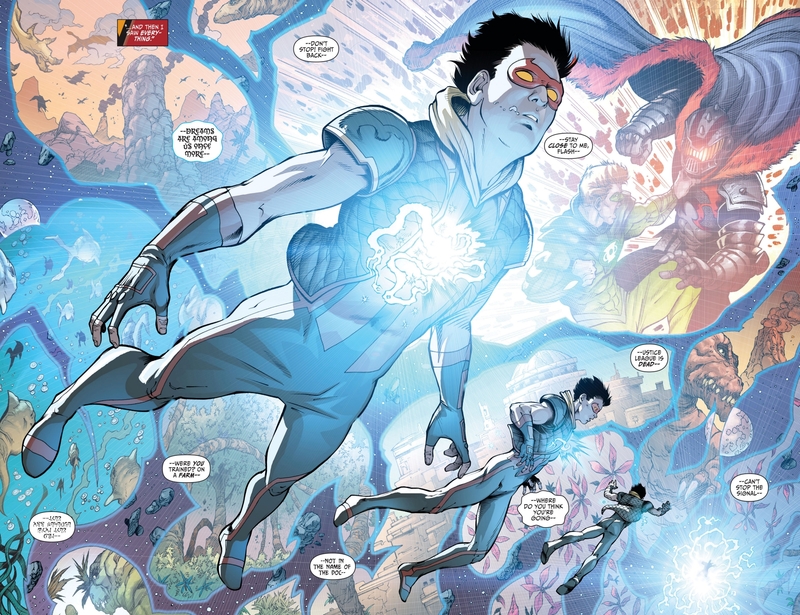 This new origin also endowed him with the ability to disrupt the Speed Force, an extra-dimensional energy force that gives certain heroes in the DC universe their super-speed abilities. This new development makes him a threat to characters like The Flash and made him a candidate for recruitment by the Justice League of America. It’s also probably the main reason for the inclusion of Vibe in the upcoming The Flash television series premiering on The CW this year. Happy Caribbean American Heritage Month!